I ramble about Super Smash Bros. a lot, and I plan to write my full review of Ultimate really soon, so I’ll try to keep this quick. But the other day, I saw a tweet that made a good point, claiming that Ultimate, more so than Brawl or Smash Bros. for Wii U/3DS, has a list of Assist Trophies who should be playable characters, and playable characters who should be Assist Trophies. Now, this person did leave out the first four announced newcomers in Inkling, Ridley, Simon Belmont and King K. Rool in their argument. Some people argued that that skewed the original poster’s point, but they emphasized that they left those characters out because they thought they were deserving newcomers. Hard to argue that, seeing as Ridley and K. Rool have been two of the three most wanted characters for over a decade, Inkling represents a contemporary Nintendo franchise, and Castlevania’s history with Nintendo goes without saying. But they pointed out that the remaining newcomers – including echo fighters – when compared to a number of characters who were relegated to Assist Trophies, leave a lot to be desired. And I kind of agreed. Yes, I am aware that the echo fighters “don’t take up much programming space” yada yada yada. I get that. But let’s face it, they’re still difficult characters to get too excited over. Especially when we get reminded of the characters we could have had. And if the remaining newcomers are a little on the… ‘iffy’ side, well then those echo fighters are going to mean even less. But let’s get back to the remaining newcomers. Isabelle is a choice that makes sense given Animal Crossing’s immense popularity. And you know what, I like that she’s in the game and think she’s very fun to play. However, whenever I remember that Shovel Knight and Bomberman are simply Assist Trophies, Isabelle’s placement as a playable character loses some of its appeal. Yeah, she’s a good addition, but if I – and many, many others – had a choice between Isabelle and Shovel Knight or Bomberman, well, I think we could all agree that’s a runaway victory for Shovel Knight and Bomberman. Then of course, we have Incineroar. Now, again, I completely understand the popularity of Pokemon, and have stated in the past that it’s one of the few series where it could potentially have as many characters as it wants. But, also again, when we look at characters who didn’t make the cut who fans have been begging for for years (Isaac from Golden Sun, anyone? ), it boggles the mind that a Pokemon as random as Incineroar would be chosen instead. I mean, at least someone like Decidueye would be unique with his grass/ghost typing and emphasis on archery. 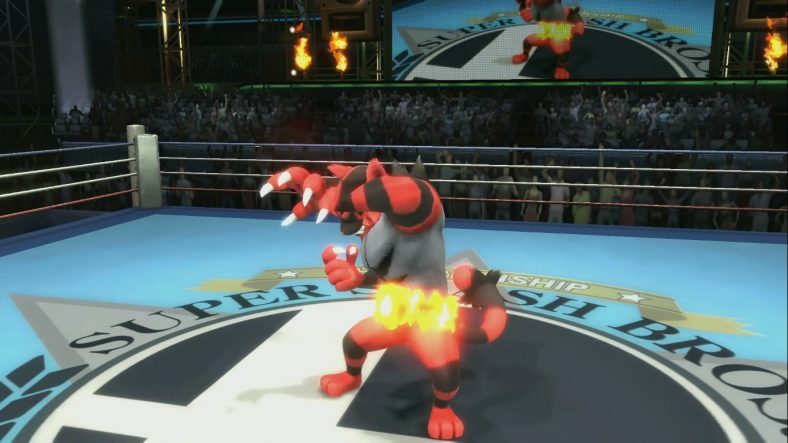 But Incineroar kind of just seems to cover ground that’s already been covered in Smash being a brute character with fire moves. Again, I don’t hate Incineroar, but why are so many characters fans have wanted relegated to Assist Trophies in favor of random selections like Incineroar. 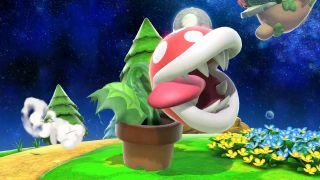 Oh, but then we have the soon-to-be-released Piranha Plant. Now this is where I feel the selection was just a massive letdown. I mean, no one asked for a generic enemy (and if they had to add one, why not Goomba? At least Goombas are kind of the most iconic generic enemy in games, so they have that going for them). Some people claim Sakurai wanted to do something unexpected to surprise fans, but does a surprise really matter if it ends up disappointing? I mean, if someone ding-dong-ditched me and left a flaming bag of dog poop on my porch, I’d be surprised, but certainly not happy about it. Sure, Piranha Plant could end up being a fun character to play. But its inclusion still seems like a slap in the face to all the fans who have been dying to see their favorite characters make the cut. I repeat, people really, really wanted Isaac, Bomberman, Shovel Knight, and many others. No one wanted Piranha Plant. And for a series as grounded in fanservice as Super Smash Bros., it just seems like a counterproductive move to so blatantly go the opposite direction of what fans want. Yeah yeah, I’m going to bring up Geno again. Of course I am. But I don’t continuously bring up Super Mario RPG’s possessed puppet without reason. Fans have begged for the character’s inclusion for perhaps longer and more adamantly than any other character (wit the possible exceptions of K. Rool and Ridley), and yet, time and again, Super Smash Bros. fails to deliver on him. Granted, there’s still hope for Geno to make it as DLC, seeing as he doesn’t appear as an Assist Trophy. But there’s no guarantee to that. Some people think the fact that he shows up as a spirit deconfirms him, but that just sounds like a weak argument, since the spirits are just stock images that boost stats and don’t actually appear physically in matches. But as I’ve stated ad nauseam, Geno’s continuous absence seems to personify the wonkiness of Smash’s character selections and omissions. I mean, if the most requested characters by fans can’t make it in, but Piranha Plant can, it seems to go against the very nature of the series. Some people defend these selections by claiming that “it’s Sakurai’s game” and while that’s true, his is a game series built on fan service. It’s not like he’s telling a deep, personal story with the series. It’s Nintendo (and other) characters beating the crap out of each other. What’s really annoying is when Sakurai apologists lash out against disappointed fans, as though they don’t have a right to be disappointed. We all love Smash Bros., but again, when the characters people want keep getting ignored while seemingly random selections make it in, it’s annoying. I love Super Smash Bros. Ultimate, and I think it’s the best game in the series. But would I enjoy it more if I could play as Geno? Oh, hell yeah! Without question. Look, I understand that not everyone can be pleased, and some fans are always going to be disappointed. But there’s a difference between certain characters not making the cut, and the characters people have wanted most for over a decade not making the cut in favor of characters no one asked for (again, that damn plant!). It just comes off as spiteful (even if that isn’t the intent). Even K. Rool and Ridley, despite their demand, had to wait until now to finally make it into the series, with Sakurai always coming up with rather weak reasonings for their omissions in the past (the “character uniqueness” statement in regards to K. Rool was particularly laughable, given all the similar characters already present in the series). I don’t want to complain too much about that, since they’re here now. Better late than never and all that. But given some of the characters who made it in before them, it’s pretty head-scratching. What’s particularly hypocritical of the fans who dismiss those who express disappointment is that they’ll often ridicule fans of a particular character when they’re not in, but once a character makes it in, they suddenly act like they were always onboard with the idea since Sakurai and company gave the green light. It’s like, what a bunch of trollish sheep. Look, I hope I never sound too negative in regards to Super Smash Bros. I truly love the series. But that’s why I get so passionate about it, both the good and bad. It’s easy to love the games themselves, but it’s often hard to ignore what could have been… especially if what we get is Piranha Plant. Again, I hope to have my review of Super Smash Bros. Ultimate up soon. And since the omissions of my (and other people’s) most wanted characters isn’t a serious fault in terms of game design, I won’t be talking much about this stuff in my review. Hence why I decided to get it out of the way here. It’s certainly not the first time I’ve ranted about the Smash roster, and it surely won’t be the last. My review of Ultimate is definitely going to be mostly positive (except in regards to World of Light). So please don’t think I’m just a grumpy guys when it comes to Smash. It’s just that I, like many fans, have the right to be disappointed when the series, frankly, disappoints in certain areas. I was going to try and post another movie review today, but it won’t be done in time. But I want to keep these January updates rolling for a bit, so I figured I’d give a brief preview of sorts of things to come here at the Dojo. Some of my next movie reviews include my much-overdue review of Ralph Breaks the Internet, as well as Mary Poppins Returns, and in keeping with tradition, I’m going to try and post a review for a Hayao Miyazaki-directed film on January 5th (Miyazaki’s birthday). But I’ll keep it a secret as to which one it is for now. As for video game reviews, I figure I’d (finally) get around to reviewing Red Dead Redemption 2, God of War, and Super Smash Bros. Ultimate, as well as a retro title or two sometime in January. Additionally, one thing I’m hoping to improve on with the Dojo in 2019 is to make more top 5 and top 10 lists. My current plan is to do at least one top 5 and one top 10 list per month. So hopefully I’ll get cracking on that soon. And, of course, I hope to start my video game awards for 2018 in the near future. Though again, depending on how long it takes me to finish the last couple of 2018 games on my list, I may have to push them into February. We’ll see. So there’s just a quick preview of the things I have in store for January here at the Dojo. Who knows, maybe a surprise or two will show up as well. And hopefully I’ll have a review or something up tomorrow. Today was one of the hardest days of my life. I had to say goodbye to the dearest friend I’ve ever known. 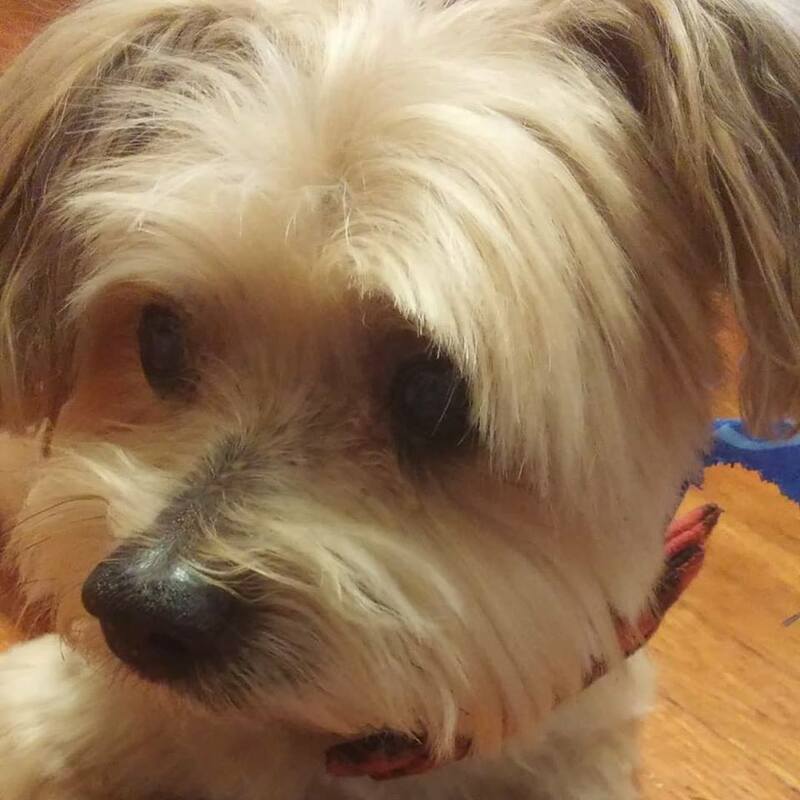 For nearly fifteen years, Chewbacca – or ‘Chewy’ – was my little buddy, my best friend, and my brother. He made me a better person, and showed me more love and friendship than I ever thought possible. 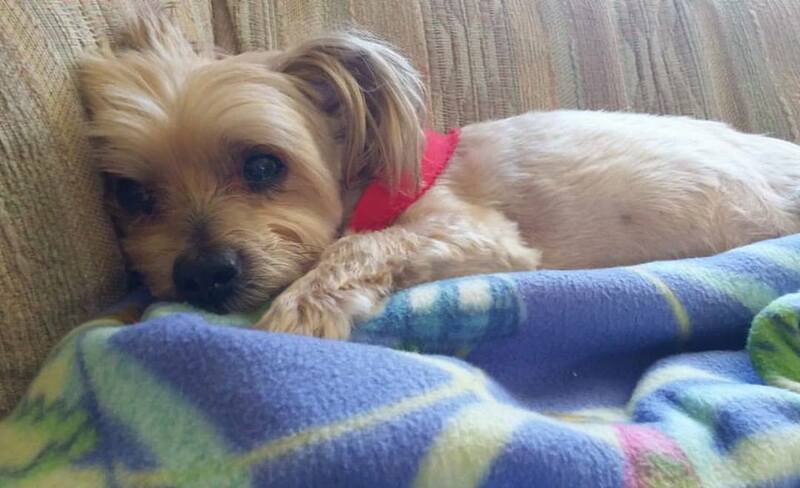 Chewy touched the lives of everyone who met him. To know him was to love him, and he lived everybody. He helped me overcome fears, comforted me through hard times, and brought joy to my life each and every day. 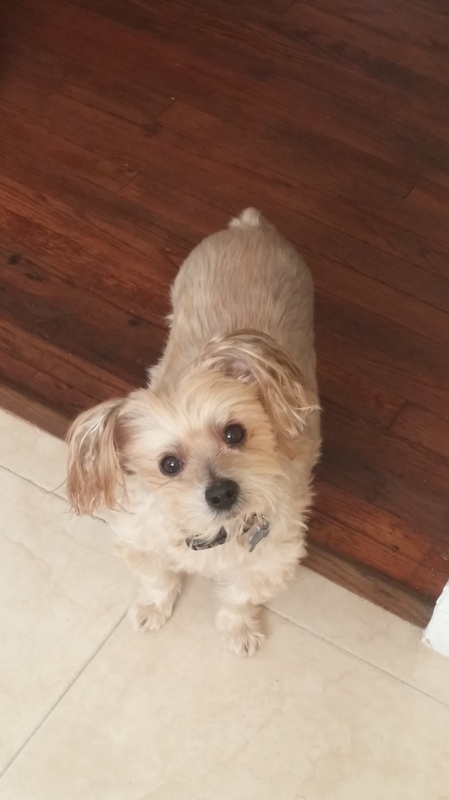 He may have been a dog, but he made me a better human being. In so many ways, Chewy was the best person I know. I can never thank you enough for everything you’ve done for me, my little buddy. I miss you more than I could ever express. I’ll always love you, my little Chewy. The 2018 Christmas Special/Four Year Anniversary Celebration!! Merry Christmas and happy holidays, everyone! How about that Solo, eh? Oh wait, that was several months ago. My “how about that [recent Star Wars movie here], eh?” schtick doesn’t work this time. Dang it, Disney! You ruined this running gag! Whoa! Wait, hold up! It’s Christmas already?! Yes, somehow it’s already Christmas Day of 2018. That means that, somewhere out there, Grant Kirkhope is obsessing over eggnog, and it’s WWE wrestler Rusev’s birthday. It also means that it’s the anniversary of the launch of Wizard Dojo! Santa be praised! Indeed, it was Christmas Day of 2014 that I launched Wizard Dojo. Okay, okay, so technically I bought the domain name and set up the basics a number of days beforehand. But it was on Christmas Day that I published my first wave of posts. So that’s the official launch, as far as I’m concerned. While I published over twenty different posts that day, I specifically selected my review of Mario Kart 8 to be the very first post here at the Dojo. That’s right, Wizard Dojo was built on the shoulders of Mario Kart 8. A pretty darn game to build one’s site on the shoulders of, I must say. Yes, it’s been a great four years, building up the Dojo with hundreds of video game and movie reviews, Christmas specials, often-promised lists of my all-time favorite games, and endless ranting about why Geno should be in Super Smash Bros. (he really, really should). Now, in keeping with the tradition of my Christmas Specials, the rest of this blog will be separated into multiple chapters of varying degrees of nonsense. So let’s cut with the chit-chat and get right to the good stuff. Author themancalledscottPosted on December 25, 2018 December 25, 2018 Categories UncategorizedTags Christmas, Wizard Dojo1 Comment on The 2018 Christmas Special/Four Year Anniversary Celebration!! Uh oh, this is another filler blog, isn’t it? Maybe. But hey, it’s a good means to write about what I have in store for this site, which in turn is a good way of getting around to writing those things. Anyway, I am currently in the process of writing reviews for Red Dead Redemption 2, Ralph Breaks the Internet, Spider-Man: Into the Spider-Verse, and Creed II, in addition to my annual Christmas Special. Admittedly, this is the first time I’ve worked on this many different posts simultaneously for this site, as I usually follow the unprofessional (yet affective) method of writing a single blog all in one sitting, while maybe writing another in bits and pieces at a time on the side. So the aforementioned posts will be the ones to look out for in the near future. I also have some reviews in store for January, as well as some potential top 5/10 lists (including Top 10 Nintendo Consoles). Hopefully my reviews for God of War (PS4), Ni no Kuni 2 and Pokemon Let’s Go will be among the January lineup. Lord knows I’m overdue on those. Naturally, I also have my movie/game awards planned for January, but depending on how many more 2018 movies and games I’m able to watch and play in the coming weeks, my awards may be postponed to February. I have a few other surprises in store for the first few months of 2019, which I will explain more in my Christmas post. So stay tuned. Oh, and you may have noticed (but probably not) that I added a new “Specials” sub-page under the ‘Writings’ category. This will be where you can get quick access to my past awards, milestone blogs, and the aforementioned Christmas specials. So yeah…something better next time… hopefully. Sorry for the filler. I have a weird interest in trying to guess the favorite games (and movies) of people I know based on how fondly and frequently they bring up certain games (and movies). I can tell you from experience that trying to list your own favorites isn’t always easy. As soon as you think you have it figured out, you remember a few others that creep in. This has sparked my aforementioned “weird interest,” as it seems like, based on what people praise the most regularly, that it may take someone else to acknowledge those works as a person’s favorites. Now, obviously this is no exact science (there is no exact science for favorites of anything). But I like to think that the inner indecisiveness can sometimes be filtered out when speaking to others, to some degree anyway (or, I could just be full of BS, which also seems likely). Anyway, recently this got me talking to a couple of my friends about what our top 10 games are. One of my friends is a big Sonic fan, and naturally had multiple Sonic titles in his top 10: Sonic the Hedgehog 2, Sonic Colors and Sonic Mania. He also had his favorite Zelda game, Majora’s Mask, and a Phoenix Wright title included, as well as Tetris. My other friend’s list featured the likes of Super Mario World, Twilight Princess, Okami, Red Dead Redemption, and BloodBorne (that’s as far as I got with my guestimations on both their lists). But then, we got around to talking about my favorites, and that brings us to this particular post. One of my friends guessed that Super Mario World and Super Mario 64 were on my list. I agreed that Super Mario World would have a spot, but I questioned that 64 would quite make it into my top 10, as I’d say the Super Mario Galaxy titles and Odyssey are better 3D platformers. But then I got to thinking, with how many times I’ve replayed Super Mario 64, and all the memories I have of it over the years, am I lying to myself by claiming it’s not among my top 10? Naturally, this brought up the prospect of “favorites” versus “bests” when discussing one’s top 10 of anything. If I’m going by the warm and fuzzy memories, Super Mario 64 pretty much has to be in my top 10. And while it would still find a spot on my list somewhere, if we’re talking games I appreciate by their quality, 64 is bested by a number of titles. Of course, with my OCD-riddled mind, making big deals about pretty much every thought that passes through my head just kind of happens. And in this case, it means this discussion lead me to thinking about how I score video games I review here on my site, primarily the big 10/10s. As of this writing, I’ve awarded nine different games a perfect score: Super Mario World, Donkey Kong Country 2, Super Mario RPG, Castlevania: Symphony of the Night, Super Mario Galaxy 2, Dark Souls, Undertale, Breath of the Wild and Super Mario Odyssey. I stand by my giving these games 10s on their own individual merits, but I also started to wonder if all of these games are necessarily my favorites. Like Super Mario 64, they all may rank somewhere on such a hypothetical list of mine, but I’m not sure if they’re all top 10 material. For example, arguably the game I most regularly praise on this site is Donkey Kong Country: Tropical Freeze, which currently sits at a 9/10. Since it was originally released in 2014, I’ve beat it several times over (both in regular and hard mode) and can’t seem to praise it enough. To put it simply, it has as good of a chance at being in my personal top ten games as any game I’ve given a 10/10. Point being, should that make it a 10/10? As I stated on my prior blog on this subject, one idea I’ve bounced around was to – at this point in time – award a total of ten 10s, to reflect my top 10 (as I stated in the past, I would of course add more 10s should one be released or I discover one from the past I missed out on. But the top 10 would set the precedent). Of course, if I were to go this route, I may have to alter some of my existing scores, if some of my current 10s don’t quite rank in my personal top 10 (should I actually manage to solidify it). I’m not a big fan of altering my scores (although I’ve done it in the past, but not with perfect scores), and again, I stand by my 10s in terms of their quality. Of course you want to be objective when reviewing anything, but seeing as video games are a creative art form, should my personal taste have a little more influence than I’m giving it? Again, Tropical Freeze (along with Bloodborne, for that matter) is basically a 10 in my heart, so should I really deny it of that because it may not match up to what I’ve designated as a 10 in my head? Basically, if my top 10 were to be ranked by personal sentiment/enjoyment, there’s no doubt that Super Mario 64, Banjo-Tooie, one of the Super Smash Bros. titles and Tropical Freeze would make my top ten. If I were to go by what I think are the best of the best, my top ten would simply include games I’d award a 10/10. And if I tried to find some middle ground, I could potentially place some 9s in with some 10s. A combination of quality and personal experience, meaning that Tropical Freeze could sneak its way in anyway, seeing as I see it as my ‘uncrowned 10’ (again, along with Bloodborne). Essentially, I guess the point of this entire post is to once again display my indecisiveness when trying to concoct my concrete list of favorite games. Perhaps I simply need someone else to point out what games I’ve leaned towards over time. The other point of this post is that it got me to thinking if I should re-evaluate my 10s. Again, I don’t like to change my scores – and on one hand, the idea of altering my 10s makes me cringe – as changing scores seems fickle, and risks devaluing my rating system. At the same time, I’m kind of intrigued at the idea of pulling a Thanos, snapping my fingers and altering the landscape of my 10s. Now, I don’t want to appear pretentious, and be one of those people who thinks they need to have as minimal perfect scores as humanly possible just because. But at the same time, I don’t want to feel overly generous with my scoring, either. 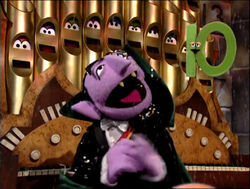 I mentioned how DKC: Tropical Freeze and Bloodborne are akin to my “uncrowned 10s,” and while I have thought about upping their scores to give them perfect grades, the idea that I can award some of my all-time favorites with 9s, I feel, makes my 9s mean something as well as my 10s. I also don’t want to be one of those critics who holds 10s on some pedestal, yet every other score seems interchangeable. I remember the days when Edge Magazine was pretty conservative when dishing out perfect scores (they still are relative to other magazines, but you can still pretty much guess when they’ll award them these days). Or the (sadly) recently discontinued GamesTM Magazine, which also only awarded so many 10/10s. Again, I don’t want to be stingy for the sake of it, but when those publications give/gave 10s, it meant something (or, at the very least, it tried to). I’ve always kind of wanted to achieve something similar to that. And while I think I have succeeded to some extent, I have to wonder if my flip-flopping of my favorite games should alter my list of 10s. Yikes, I’m really going off on another tangent, aren’t I? Basically, I guess my point is how difficult it really can be to categorize your favorites of anything in any “official” capacity. Although my taste has remained surprisingly consistent throughout my life, things do fluctuate. Who knows, this entire post may end up being entirely pointless and I won’t change a thing. I already hit a soft reboot when I swapped my ‘.5’ rating system for one consisting of whole numbers, so I’m not sure if tinkering with things at this point alters my site too much. Again, I don’t want my scores to end up feeling pointless and finicky. But at the same time, the benefit of running an independent site is that I can change things to reflect my changing tastes when necessary. If any of my kind readers have any feedback for how I should approach things going forward, feel free to share. Yet another tragic loss in the entertainment world this week. Stephen Hillenburg, the creator of Spongebob Squarepants – one of the most beloved pop culture icons of all-time – has passed away at age 56. With all due respect to The Simpsons and South Park, Spongebob Squarepants may just be the most influential television cartoon of all time. While The Simpsons changed up both primetime and television animation, and South Park continues to push the envelope, one could easily claim that Spongebob Squarepants has shaped the sense of humor of an entire generation. The show’s lighthearted absurdity has permeated all facets of popular culture, and anyone, anyone from my generation can instantly recognize even a passing reference to a joke from the show’s heyday. I don’t think Stephen Hillenburg – or anyone else – could have imagined that nearly twenty years later, his creation would still be going strong. Although the quality of Spongebob Squarepants has fluctuated over the last decade (after Stephen Hillenburg took on a smaller role in production), its classic episodes are as timeless and hilarious as television gets. Its endearing characters and sharp wit have etched its place in television history. Everyone and their grandmother knows of Spongebob’s antics with best friend Patrick, and how they constantly get on the nerves of their pretentious neighbor Squidward (whom both Spongebob and Patrick naively idolize). Everyone knows of Mr. Krabs’ insatiable lust for money, and how the sacred Krabby Patty secret formula is the target of the “evil” Plankton’s many failed thefts. People can quote Spongebob’s many songs word for word, and the show as a whole has delighted children of all ages for over two decades. And everyone who grew up with it, and continues to grow up with it, will make sure it continues to do so forever more. 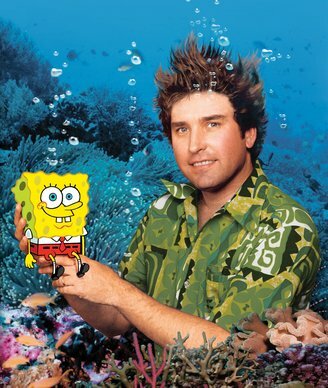 Thank you Stephen Hillenburg, for bringing so much joy and laughter to the world.